William received his Bachelor of Arts from Western Connecticut State University in 1993, his Masters of Science in public administration from Southern Connecticut State University in 1995, and his law degree from the New England School of Law in 2001. 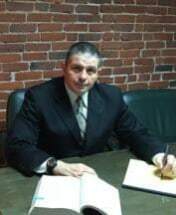 Attorney Gillen is licensed to practice in the State of New Hampshire and Massachusetts and both of their federal courts. Prior to becoming an attorney, William worked in the private sector for several years, and gained extensive business experience. Attorney Gillen is an honorably discharged United States Marine, and brings the pride, dedication, and determination learned while serving in the armed services to the practice of the law.